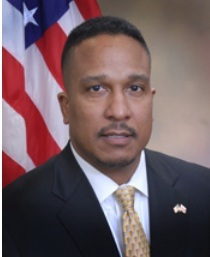 Ronald C. Machen Jr. is leaving his post as U.S. Attorney for the District of Columbia after five years. Ronald C. Machen Jr. led many important prosecutions during his five-year tenure as U.S. Attorney for the District of Columbia. The one PP Blog readers are most apt to remember is the criminal prosecution of AdSurfDaily Ponzi-scheme figure Andy Bowdoin. Machen, 45, is leaving his post and intends to reenter private practice, the Justice Department said today. “During more than five years as United States Attorney for the District of Columbia, Ron Machen has distinguished himself as a skilled leader, a devoted public servant, and a forceful champion of justice on behalf of the American people,” said Attorney General Eric Holder. AdSurfDaily gathered $119 million through its Internet-based fraud, a 1-percent-a-day “program” that purported to be in the “advertising” business, not the business of selling securities. Machen will leave his post on April 1. Principal Assistant U.S. Attorney Vincent H. Cohen Jr., 44, will become Acting U.S. Attorney on that date. Two assistant U.S. Attorneys and a special agent of the U.S. Secret Service involved in the ASD case were targeted with false liens by Kenneth Wayne Leaming, a purported “sovereign citizen” from Washington state. Leaming was arrested by an FBI Terrorism Task Force and was successfully prosecuted by the office of then-U.S. Attorney Jenny A. Durkan of the Western District of Washington. We wish Ronald Machen the best, and we thank him for his service to his country. Quick note: The office of U.S. Attorney Anne M. Tompkins brought the Zeek Rewards criminal prosecution. Her tenure also was one of about five years. Tompkins left her post on March 9. Jill W. Rose will be Acting U.S. Attorney.